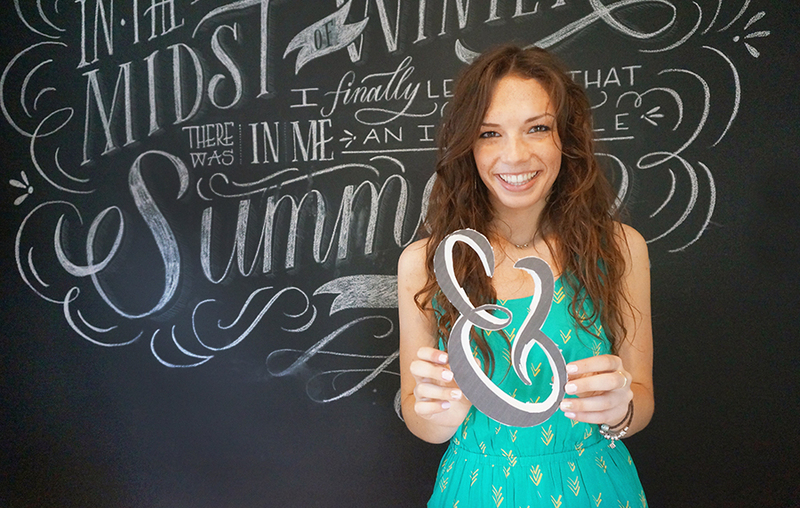 Print out the enlarged hand lettering style ampersand in Kailey font on 8.5x11" computer paper (black and white is fine). 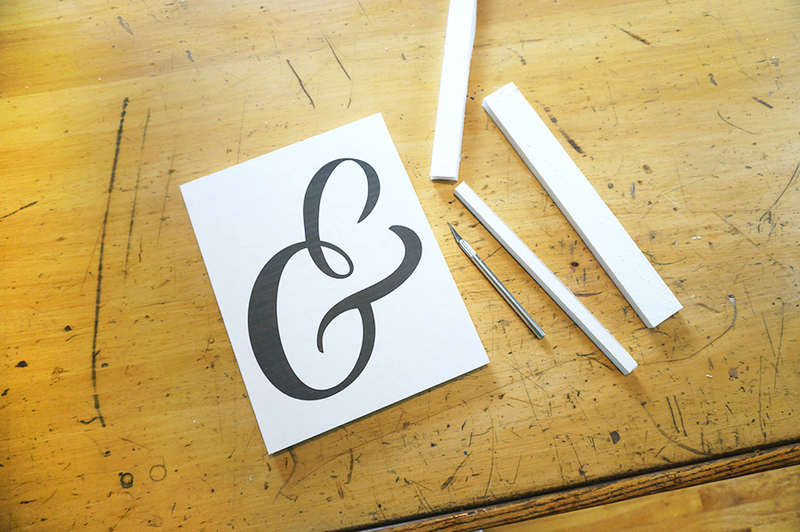 Use your spray adhesive to adhere the printed ampersand to your white foam core. Make sure you're in a ventilated area like your backyard or a spray booth. Use old newspaper to protect whatever surface you're spraying on. Cut off any excess foam core around the edges of the artwork so you don't have to work on a sticky surface. 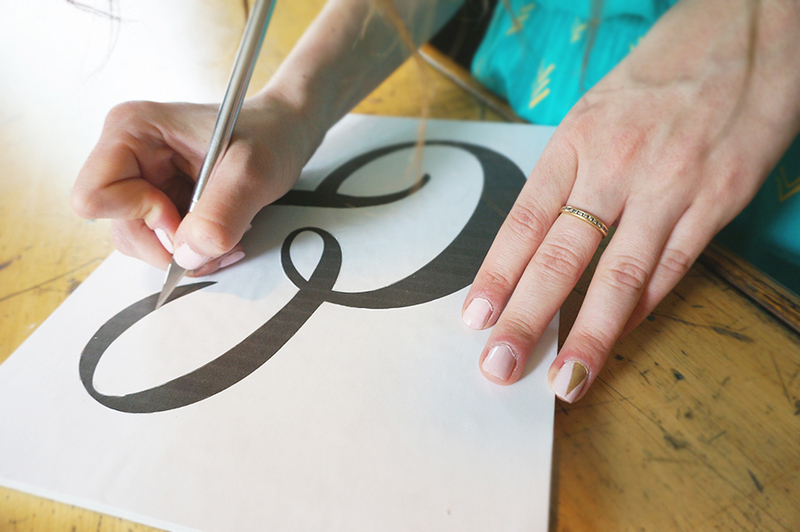 Using your precision knife, let the printed ampersand work as a template for where you will cut out the shape. Some areas can get tricky because it's an intricate shape (like the loop in the center). Be sure to do small, light cuts to maintain integrity of the cut out. Don't try and cut completely through the foam all at once or you'll get a really jagged edge and you'll easily loose control over your cut. This step takes a while if done well! ** If you have a cutting board, use it under that artwork to protect the surface you're cutting on. Now that your ampersand is all cut out, lay it out in a ventilated area and spray the entire surface of the space with your glitter spray. It helps to do 2-3 even, light coats. We noticed if you spray the glitter on too thick, too quickly, it looses some of its luster.